Start by preheating your oven to 350 degrees. Put the pecans on a sheet tray and put them in the oven to toast. I do this while my oven is warming up. It should take about 5-10 minutes. 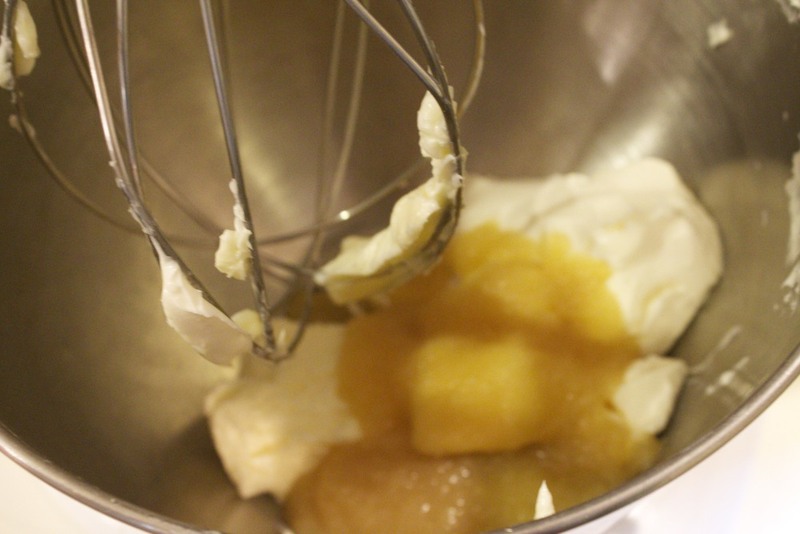 In a mixer, combine the butter, applesauce, and cream cheese until creamy. Add the sugars and beat until light and fluffy. Mix in the eggs one at a time and then add the vanilla.. In a separate bowl, combine the flour, baking powder, baking soda, and salt. Slowly add the dry mixture to the wet mixture mixing until just combined. Stir in the mashed bananas and toasted pecans. 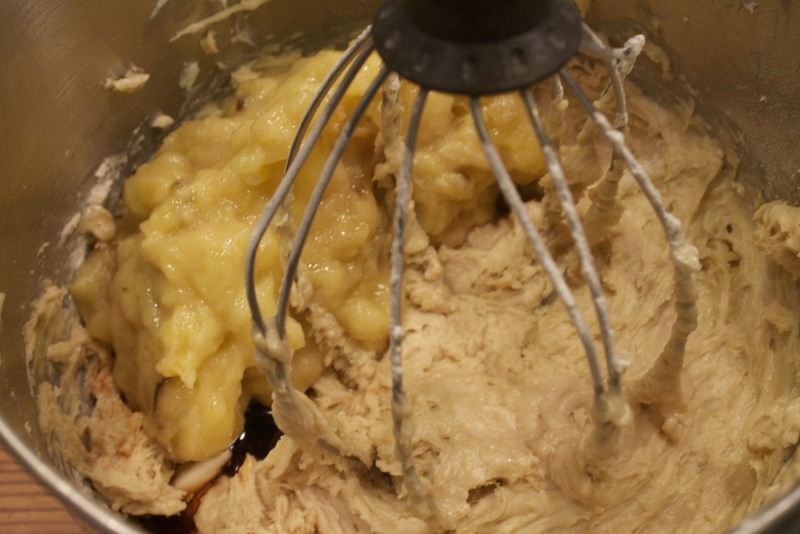 Pour the batter into 2 greased loaf pans. 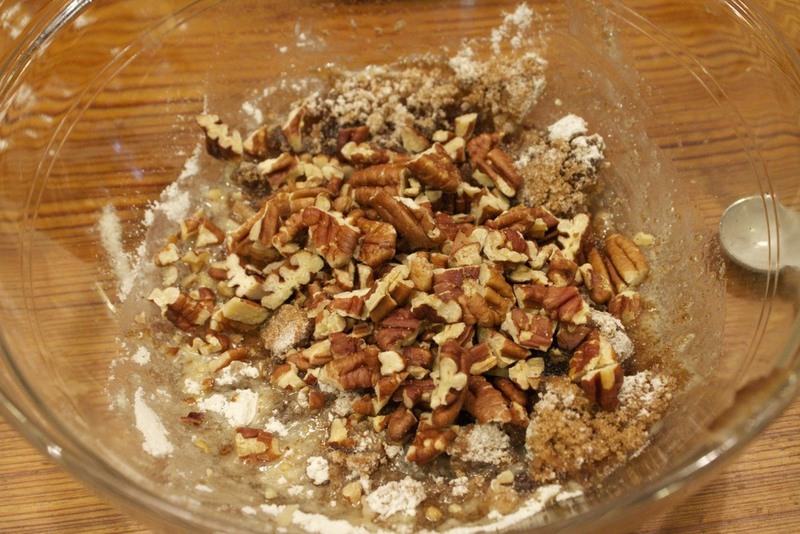 In a small bowl, combine the melted butter, dark brown sugar, toasted pecans, and flour to make a crumbly mixture. Sprinkle 1/2 on each loaf. Bake for 60-65 minutes or until a toothpick inserted in the middle comes out clean. Posted in In The Kitchen and tagged with banana nut bread, pecan, cream cheese. April 18, 2013 by Lynn Adams.